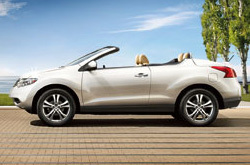 Peoria Nissan is your trusted Phoenix resource for reviews of the 2013 Nissan Murano CrossCabriolet. All Nissan franchises in Phoenix aren't the same. At Peoria Nissan, we feel it's our obligation to present customers with quality Nissan reviews that set us apart from the typical franchise. Nissan Murano CrossCabriolet information you can entrust on to make educated decisions is right here - each article is crammed with [helpful facts and specs - all at your fingertips. Is the Murano CrossCabriolet your ticket to freedom on the road? Read on and find out. 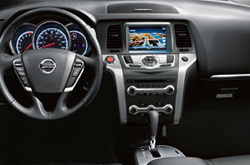 By examining the 2013 Nissan Murano CrossCabriolet head-to-head with the 2013 Ford Expedition, Infiniti JX and the Lexus RX, and you can catch that the Murano CrossCabriolet scores higher those autos in various zones. Catch a glimpse of the hightlights below. Don't go to a independent auto repair center in Phoenix, Arizona when Peoria Nissan's wonderful repair techs are just a quick drive away; plus you'll get a long warranty on every repair and access to genuine OEM products. Peoria Nissan's auto service men will help keep your Nissan Murano CrossCabriolet in robust working order. We do a variety of repairs, from effortless serpentine belt replacement and speedy inspections to more tough jobs such as transmission repair. For nominal, quality Nissan car repair in Phoenix, the primary place you should take your Murano CrossCabriolet is Peoria Nissan. To check out wallet-friendly service coupons, click the link underneath this text right this instant!